An informed decision is always your best option. Mike Schiffman has always felt a personal calling to family law rooted in his desire to help others. His clients appreciate his commitment to supporting them through every step of the process, while working tenaciously to secure the optimal resolution in every case. Mike began his career as a Family Law Attorney immediately after graduating from the University of Illinois College of Law in 1982. 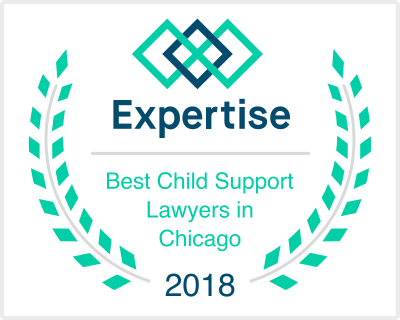 After nearly 30 years practicing at large Chicago-based firms and heading up a Family Law division in a general practice partnership, Mike founded Schiffman Family Law, LLC in 2013. Mike handles each case individually, paying close personal attention to your needs and the unique circumstances of your case, to secure the best-case outcome drawing from the latest judicial and legal statutes and trends. Unlike larger firms, working with Schiffman Family Law means your case and your concerns are addressed personally by Mike Schiffman. Throughout every step of your case, you can rely on the focused attention of Mike Schiffman — not an intern, para-legal or recent graduate, but Mike, personally addressing every aspect of your case. Whether it’s a divorce, post-decree issues, maintenance adjustment, child support, custody, visitation disputes, paternity, enforcement, or other Family Law Litigation, Mike brings over 30 years of experience to efficiently and effectively resolve the matter. "Mr. Schiffman is a highly skilled, diligent and knowledgeable attorney who is well-known in the legal community for his outstanding professionalism. He was able to obtain satisfactory results even for clients whose cases were incredibly difficult by dedicating his time and effort to achieve the best results." "A brilliant, trustworthy and highly respected attorney in the legal community." "Michael Schiffman gives all of his clients the tenacious defense that has earned him a reputation of being one of the very best divorce and separation lawyers in the country." Affiliated with numerous legal and professional associations, Mike is a former chairman of the Matrimonial Law Committee for the Northwest Suburban Bar Association. He has also served as a guest lecturer at Northeastern Illinois University and has received numerous awards and honors recognizing his exemplary work.